In this Mastery Program – Leading with Emotional intelligence – A Guide for Professionals that Want to Get Unstuck, we work through the EQ-i 2.0® model developed by Multi Health Systems (MHS) consisting of 15 emotional intelligence competencies within 5 major areas: Self Perception, Self Expression, Interpersonal, Decision Making, and Stress Management. Because everyone has different strengths and weaknesses and will need to focus on improving different areas, the Leading with Emotional Intelligence program has been designed so that you can tailor the learning to meet your specific needs. 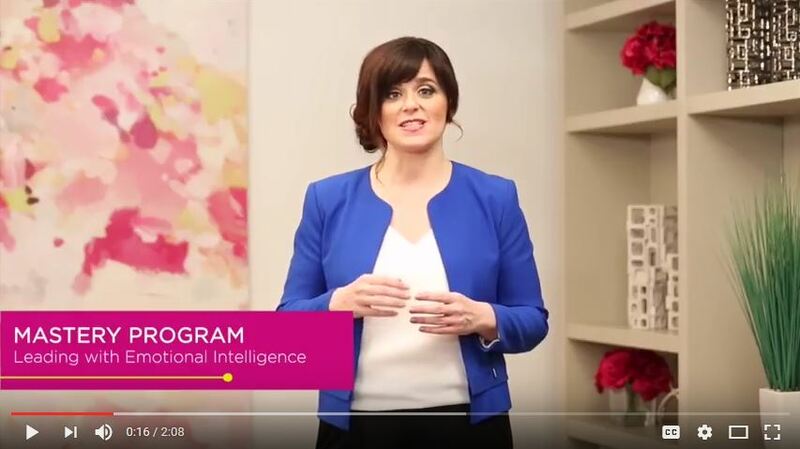 In this 6-week program, we will cover in detail, all 15 emotional intelligence competencies, so you can work on your unique leadership development opportunities to remove the barriers preventing you from achieving the life you have always dreamed of.